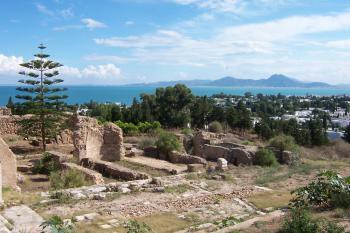 The Site of Carthage comprises the remains of a capital city that has been influential in the Mediterranean region, especially as representative of the Phoenico-Punic civilization. Carthage is an ancient city in Tunisia, originally founded by Phoenician colonists. Under the leadership of Elissa, Queen Dido, Carthage became a large and rich city and thus a major power of the Mediterranean until her destruction in the Third Punic War in 146 BC. Although the center of the Punic culture was destroyed, it continued in Roman times. 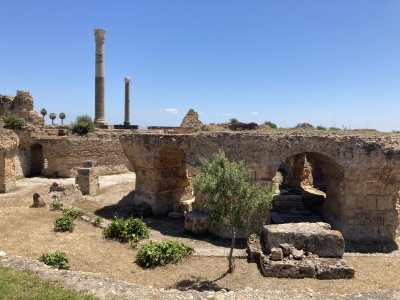 Rome also refounded Carthage, becoming one of the three most important cities of the Empire, a position that would last until the Muslim conquest when it was destroyed a second time in 698. Unfortunately not much of what was Carthage remains today. The museum however, explains really well its tragic past and former glory. Beautiful statues, figures and parts of buildings abound in the museum. The museum is right next to a Christian Cathedral that is worth visiting. We also got to see the Roman Amphiteathre and the Antonine Baths - the remains of the Roman Empire that conquered the Carthaginians. Carthage abounds with many historical places and we had planned only a day tour of the area and thus managed just a few sites. I would suggest spending a longer period to visit Carthage and the nearby towns and Capital city. I agree with the other posters that the present site doesn´t offer as much to see as one might expect, which is only understandable if you know what the Romans did to Carthage (completely razed the city, killed or enslaved its people and poured salt on the ground so that nothing would ever grow there again). 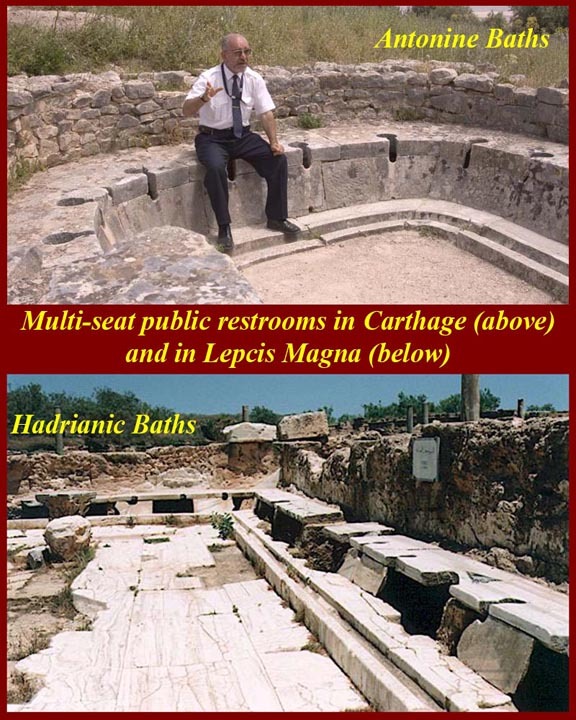 However, a Roman city did eventually form there, and its ruins are still impressive, especially the baths. You mustn´t take pictures of the Tunisian President´s palace nearby, so beware! The guards may take your camera away! Anyway, besides the very few genuinely Carthaginian remnants and the great view of the sea, the most important thing is just to go there and to know that you´re standing on the site of one of the world´s great civilizations - one that brought mighty Rome almost to its feet. There is not much left to see of Carthage which really is a testament to the Romans who totally obliterated their biggest rival of the period. It is pretty important therefore to get some background knowledge on the place before you go because it really is quite impressive. The main site on Bysra Hill has some very impressive views across Tunis and to the Cape Bon Peninsula. If you go for a bit of a walk you will see that there are a few more intact bits below the forum. Then if you head down to the sea at the Punic Ports this is perhaps the best area as the lay-out of the ports that once held the mightiest navy in the world are still there, and next to them is the Tophet where it is reported that Child sacrificing went on, and the stalea that litter the site can be seen as an eerie testament to that. Further along to coast are the Roman Baths which are huge and probably the most impressive site to look at. Carthage is a bit disappointing because not much is left but the trip alone is worth it. Take an electric trolley from Tunis and you can walk to the main part of the site from the Carthage Hannibal trolley stop. The museum is quite good but watch out for "freelancing" guides. The Roman mosaics in the courtyard of the museum are breathtaking and are just casually laying everywhere you look. Also, the view of the sea is fantastic from the hilltop. We tried to find the stadium but never could. Watch your belongings on the trolley! Human Sacrifice: The "Tophet" Cemetery - The remains of many children have been found which might indicate (as the Romans claimed) evidence of the Phoenician practice of child sacrifice or, alternatively, just a child cemetery. Festivals: The International Carthage Festival (music, theater) is held every other year in the Roman theater (July-August). Built in the 6th century BC: Heyday of Phoenico-Punic civilization: in the 6th century Carthage had conquered the territory of the Libyan tribes and the old Phoenician colonies and had control over the North African coast, in 509 BC, a treaty was signed between Carthage and Rome indicating a division of influence and commercial activities. Former Largest Cities: Around 300 B.C.